My new tutorial series has begun. This is appropriate for total beginners or experienced mappers who want to give TB2 a try (or just a look.) Links and a cheat sheet are available in the description. Being a total noob and easily intimidated, I've always put off picking up Trenchbroom. That made my day. Thanks and I'm glad you're taking the plunge. Good stuff for me (now i trying use Trenchbroom instead JACK). When to wait for the continuation of your tutorials? Cool that you are going to give it a try. My next two tutorials will be on compiling troubleshooting and on the brush tools. Should be up early next week I hope. Great Job! Wish I Had This Video When I First Mapped For Qump! One issue I ran into as I started out with TB and eric-w compiling tools, were the C++ Visual Studio Redistributable Packages were not installed. Luckiliy by looking on func (and on the specific pages of TB and eric-w compilers) I found out TB needed Visual Studio 2015, and the compilers needed the 2013 version. Hope I could make my point clear, I'm only semi-native with english. Sorry about that. In the description for the video I linked to the same link on ericw tool's website. I wasn't aware of the issue. Thanks for letting me know. Here's episode 3. Brush tool and misc tips. My suggestion for one of the upcoming episodes - tell us about setting up a map compilation directly from the TrenchBroom, without using an external GUI for compilers. Honestly I am not going to spend time on that at least not any time soon. I had this planned but Sleepwalker told me not to bother as the tool is going to get a re-worked eventually. I'm not sure why it's an issue to use the GUI. Unless you are on Linux or something. will be revamped at some point because it appears to cause a lot of trouble. My plan is to extend the game definition so that you set up your compilers in the game preferences, similar to the game path. That way, we can set up builtin profiles so that people don't have to do anything except for setting up the paths to the compilers. I can never seem to get the Necros UI to work (QBSP can't find the map, etc) ... but the in-editor tools work great. Heh. Did you follow MY directions? If you did, would work. No spaces in the files names. I even have a video showing you how. batch files allow you to loop through a large set of maps to recompile them. one click and you can compile multiple maps. Very useful for recompiling large batches of breakables to new light settings. I'm just trying to get new users in quickly with the tool I am comfortable with. And with Sleepwalker's blessing BTW. This is the beauty of having a large selection of tools. Everyone has their own preferences and needs, and there's is a tool for everyone. There really is no point in fighting about this. I'm fine with the fact that the tutorial does not use the builtin compilation support. It doesn't really matter which tools are used as long as it gets the job done. One thing is for sure, it's easier to set up necros' UI than it is to set up TB's compilation profiles, at least in their current state. Sorry. Muk knows I love him. Something about compiling triggers us both. It's not that I don't WANT to use the UI ... clearly I do since I tried to. :) It just doesn't work for me. Does it have a limitation like you have to be on the C: drive? Because I'm not. No restriction to run on C but you need to ensure that all your parameters are pointing to that drive/directory. I tried to mix and match drives but the GUI is looking for the relative path. I got an error there. I'm sure the GUI assumes your working and bin folders are in the Quake directory. So make sure your settings for qbsp, light and vis are pointing to the right folder and drive. Then ensure your working directory and game engine of choice is under Quake and it's pointing there. Luckily the in-editor is working for you. And I am very happy the tutorials are helping people! Please @ me when you tweet about them so that I can retweet. Ahh it might be a folder issue ...I'm definitely NOT in the Quake directory with everything. TB really seems like a more powerful editor than a Hammer derivative like JACK. Looks like it's just generally easier to create simple and more complicated geometry. is how I like to describe it. Once you learn the kb shortcuts and UI you can really fly. I create 100% of my brushes in 3d. Only use 2d to align entities and to inspect my brush alignment. I wonder how it compares to Radiant. Radiant has always looked like a foreign language to me, yet I believe Sock uses it and he creates such massive, complicated designs. I feel like the kinds of things he and several other mappers create for Quake are outside the realm of possibilities for a Hammer derivative map editor. Was a huge inspiration for TB. QERadiant, that is. I used QERadiant for my own mapping after I had started out with Worldcraft. In WC, you spent most of your time switching between tools, whereas in Radiant, you could do a lot of things without these "mode switches". My speed increased a lot once I got the hang of it. In TrenchBroom, I have tried to recreate this fluidity. The most common operations should be easy and quick. You should be able to manipulate objects directly, without strange gizmos like in popular 3D packages. And you should be able to do everything in 3D if you want. That's why the 2D views came much later - they are there because some things, such as proper alignment, are easier to do in 2D. It makes me happy to hear TB described as "elegant", because that confirms that we got things right in many aspects. Granted, not everything can be easy. Sometimes you do need gizmos, e.g. for rotation. But the bread and butter cases should be easy and quick. I feel like the kinds of things he and several other mappers create for Quake are outside the realm of possibilities for a Hammer derivative map editor. Note, I'm not aligned with any one editor but... do you sincerely believe that? I'm just thinking of some of the most amazing HL2 maps/mods I've played, all built WITH Hammer, and then trying to make sense of your comment. There is literally nothing that you can do in TB or NetRadiant or Jack that you can't do in any of the others. In all those editors you have the tools to make any convex brush, they all now do Valve220 texturing, and that's all you need. The only difference is the efficiency of the UI. From personal evaluation of all three I still believe Radiant (the latest version of NetRadiant) is the daddy in terms of raw speed of banging things out, but I haven't had a look at TB in quite a while, things may have changed, I dunno. Let's move to general abuse. Does TB 2 Have Hammer's ALT+RMB Texture Transfer Yet? You can select a face with Shift and then Alt-click any other face to apply the selected texture. AFAIK you cannot paint a bunch of textures all at once from the selection. That may have changed? If so I missed it. Is this what you mean? That he's referring to Hammer's texture wrap function. It's a really neat feature that allows you to wrap textures around faces a brush seamlessly. Ahh I see. Yes I think Muk0r added a request for this on the TB GitHub a while back. Not sure if it's in or planned. There have been some additions to the Valve 220 format mode which I have not tried yet. Is there documentation on Valve 220? I keep hearing that term thrown around and I don't know what it means in relation to other map format versions. Texture wrapping works in TB, just select a face and alt-shift click a neighbouring face (or alt-ctrl? All these shortcuts are stored in my muscle memory and not my brain), it's pretty awesome. Time to download TB again. Just to be clear, this obviously only works in valve220, but I wouldn't recommend anyone use anything other than valve220 at this point. One thing I've noticed you do is that you don't really explain why you do set up something a certain way. For example, you don't explain why you should pick "standard" for the map type as opposed to "valve". You don't explain why you need to keep your Quake dev folder in the root of a drive. You just kind of tell us that this is how you do it, but it would be helpful to understand why it must be that way, or if it can be changed in some circumstances. I think since the tutorials are for beginners, the idea is to not flood them with too many technical considerations and options, and get them mapping and using the tools as fast as possible. If you stop to explain everything you'll probably lose people as you go. Bal is 100% correct. The tutorials are for beginners and every decision starts there. Also I had originally planned a 9 part series of Quake 101 videos that explained everything in detail before one brush was laid down. Sort of a lecture series. I wished I hadn't dragged my feet on those. (I blame the Xmas Jam!) Once Sleepwalker told me 2.0 was imminent I changed focus. The reason I haven't mentioned Valve 220 yet is when I started these there were still issues with it. Those are fixed now. When I get to the texturing video I will explain all that. If the user is making a standard map they can convert it easily with ericw-tools. After watching a couple of your tutorial videos I got the urge to make a quake map again. Didn't have this feeling for many years. Everything is set up and working. We will see what comes out of it. Any chance of adding a link to the .map of the map used for that tutorial? Possibly even in the video's description? @Ankh You're very welcome - this is why I am doing these tuts. 1. I know it's probably easier to have the map in front of you but I would prefer ppl to make their own stuff and get the muscle memory down. It's too easy to give upon something that is confusing and copy and paste. I want the viewer to figure it out for yourself. 3. I may add more elements to the map before the end of the series. Is it true that Quake always uses axis-aligned bounding boxes for determining when a trigger is touched? I think I remember that being the case, and for some reason it came to mind when I was watching your examples (even tho your examples are on-axis). If so, it might be worth mentioning at some point that if you have diagonal doors or weirdly rotated/shaped trigger brushes then they're not going to be activated exactly like you would expect. Looks like the answer to the question is "yep" because negke just mentioned that on the mapping help thread (#19534 there). And he highlighted another potential gotcha -- along with the behavior of rotated/angled stuff, you can also get surprised by the behavior of a trigger made out of multiple brushes. This is a little inside-baseball but also very unintuitive and hard to debug if you don't know about it, so maybe it's worth covering at some point. Weird coincidence huh? When I get to more advanced brushwork I'll make sure and include this caveat. To be honest, I have nowhere near this level of knowledge for the hard tech stuff in Quake. I try and research things I am a bit hazy on, and other bits of info are sort of hard coded in my brain after years of messing around with id tech. It's probably worth asking questions in threads as you find things you don't have good "evidence" for - feeling like you know something isn't necessarily enough. A lot of the knowledge about how quake works is essentially passed down in "oral tradition" (huehuehuehuehe). Not enough of the nitty-gritty practical implementation tips and tricks have been written down in easily discoverable places. Or you could try reading the entire mapping help thread. There are 19,534 posts in mapping help so I hope that was a joke. I couldn't dothese tuts without Metlslime's Search tool. I absolutely use func and #terrafusion when I am looking for the right way to communicate something. e.g. I grilled Sock and ericw on a few tips a while back and I'm incorporating those nuggets in a future tut. As I noted above, I research the stuff I know "nothing" about in advance and even go in editor and ensure I am doing things correctly before recording. I certainly misspeak at times as the tutorials are not scripted. There are certainly much more talented and knowledgeable mappers but I'm doing my best to be accurate. Go read the mapping help thread! There's a test on Friday. Has read the entire mapping help thread. Ya ok no. Keep it up with these videos! ... reading the entire mapping help thread, then pass the exam in General Abuse, your final step before ascension is the hazing found in func_beef. After that, it's all GO MAP! Entities Part 4 Teleporting monsters into your map. Player teleporters, trigger_relay, info_intermission, trigger_changelevel and a terrible mistake. Note that trigger_teleport is usually a brush entity (also by default in all def files). It can be used as a point entity like you show in the video, which is useful for monster teleports, because it doesn't use up a model slot. However, when doing so, it's important to set the "silent" spawnflag (2) on those trigger entities. Otherwise there'll be rogue teleporter ambience at the map's origin which may lead to confusion! I assumed they'd be used mainly in closets but yes you are right. I learned this method from you BTW! I'd love to send you my rough cuts for review. Interested? Keeping in mind that these are for beginners (for now) and need to stay under 15 minutes. My workflow is to record first then use on-camera elements to clarify. Sometimes I re-record entirely. I could send you a low res version before I add on-camera elements. LMK. Though you seem to have it covered pretty well so far. You did the hard part man. I'm having fun doing these. Bottom left corner of the bounding box. Can't retrigger. I was tempted to try a map for dm4jam due to the theme but I've never done a SP map. After part 4 of the trigger episodes I also found I needed to know substantially more about triggers and what can all be done. Paying rapt attention to the episodes thanks. There will be a lot of other opportunities this year. Also keep in mind there are Speed Mapping events every so often that take place over a weekend. There's usually a theme and a very quick deadline (a weekend sometimes less). I've done one of those and no one expects greatness from your level - so it's a great way to snap yourself into action and force yourself to create something playable very quickly. My fav theme amd I missed it! Blue one looks nice. I hate how all the speedmap sessions seem to be tethered to Twitter. Every recent jam has been posted here first. 0_o Including SM179 Wizard. That was last year. How to release your map... properly. Not sure old ports will play the music (from CD) if you use "09". Haven't checked, though. By popular demand I'm releasing the test map I created for the TrenchBroom 2 tutorial series. This only has 7 monsters and one secret. It does have different monster encounters and entity examples for new mappers. I have a hard time imagining a more beginner-friendly video that also addresses the fundamentals in a comprehensive way. I just keep getting more and more impressed with the quality. Imho wait and delay are beyond basics, more towards advanced stuff. But since they are defined in the .def, it's probably good to explain them before someone accidentally local minlights a whole map or something. I actually agree but they needed their own dedicated episode so I made it this one. And I'm not sure if you are joking about the minlight but we just saw that here last week. There sure are a lot of ways to make arches. I’ve seen and read so many ways to make them in Quake and Source, but that method does seem particularly friendly. I like TB’s vert merging you can do just by dragging through them. Nice and clean brushwork. Are you the first to make a comprehensive tutorial series for Quake mapping? There are countless beginner tutorials for Source’s Hammer out there, but haven’t seen anything for Q1SP. I am trying to make these as approachable to newbs as possible. And yeah, I think for Q1SP yes this is the most comprehensive video series so far. Can you go over setting up mods? Like what's different about your setup for mapping for AD or Quoth for example? FGD's, models, textures etc. I started on one a while back. For you? Yes. Will get that cut out ASAP. I saw a few bits in the video that discussed how vanilla texture alignment works (the comparison to a film projector is excellent); do you plan on touching on the Valve 220 map format and its brush face-aligned texture projection? Yes. Even though the series is really dedicated to id level quality I am going to cover 220 for sure. TBH I need to understand something fully before attempting to teach it so I need to spend some time in JACK and really understand what is happening with per face projection. I'm nearly there but want to feel confident in what I am trying to relay. So I left that out of this tut. dumptruck, I just watched the texturing tutorial, and it's awesome. Just great how you manage to pack so much info into these short vids. In this tutorial especially, you covered many (if not all) of the ways to manipulate textures in TB (some of which I had long forgotten about, thank god for the manual), and I think it's very commendable that you don't just show your personal favorite way of using TB, but give options to the users. Thank you again for your great tutorials, I'm sure they help so many people out there, and of course, they help to bring more people to TB and Quake mapping! I appreciate the feedback. Sometimes it's very tough to know what to include or leave out but I though these shortcuts were very well thought out and I didn't know about some of them. Thank you and ericw and the other contributors for such a cool application. Another awesome video! Do you have any plans to do one on scale? As in the scale of architecture? No, I wasn't planning on addressing scale but it does remind me that I had issues with scale starting out myself. And occasionally I make my layouts WAY too big. Do you have any specifics you want me to cover? I can put on my thinking cap and see what I can come up with. Just more in line with best practices for scale. I am just starting out and I find I either build to small or to large. A good approach is to get your floor size decided first and if you feel like you've made things too big, encroach on the space with pillars or corners etc. Stay away from boxiness, add shapes to break up the room. 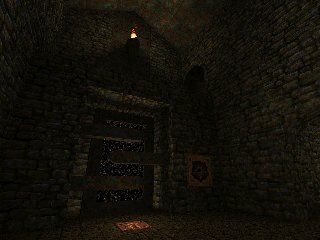 Because most of us are familiar with the original game it's good to go back and see "how big was this hallway or room in e1m1?" or "how high up are the ogre's in this section compared to the player?" Keep em coming these are great. I think it is important not to release WIP maps as news on func too. Lot of new mappers have done that lately...makes me avoid their maps until the thread is stale so I know it is safe to play. That's awesome. I was a bit foggy on the matching clip plane and always forgot about it. But once you get the hang of it, it's pretty amazing. Blerbler is mapping some good stuff lately.. I am looking for a different quake map editor, I am using worldcraft 3.33. I tried to install the newest trenchbroom supposedly that was trenchbroom 2, run it but after installing missing .dll files it gave me an error message saying that it could not be ran. I am using windows 7. I have run into a lot of problems with worldcraft when using other shapes besides the cube, which makes map building harder to do due to the limitations of the cube shape. Here's the link from the TB2 Github release page if you want to go directly to the recommended Visual C++ install. I do not remember what dlls it was asking for but I put all missing dlls in directory as far as I know then I tried to run trenchbroom and it gave me an error saying that it could not be ran. Do that, and make a fresh install of TB since you copying stray dlls into the TB folder is a bad idea. OK, I did the fresh install of tb, I didn't place the directory directly inside program files but don't think I need to. There have been issues with other editors if it was not placed inside program files. All I have now is game not found and can't locate palette but that should only be because I have to set up the parameters. You should be following these steps from my Quickstart video if you have further issues. where are you getting START.wad, ericw-tools, andNecros’ Compiling GUI at listed in your quick start pdf guide? is there some place to download this at? dumb question? All those are linked above the comments at the video. if you want all the vanilla quake textures get "quake101.wad"
I thought the wad containing all the id1 textures was Q.wad...? What's the difference? 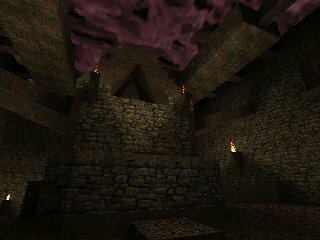 quake101.wad has all the Quake textures plus Hipnotic and Rogue textures. Q.wad is only id1 and I believe there are a couple of issues with renamed textures IIRC. I did find those downloads under comments thanks. Note: if you read func_msgboard you already know all this stuff but feel free to pass it on. Mostly for newbs. The first in a series.